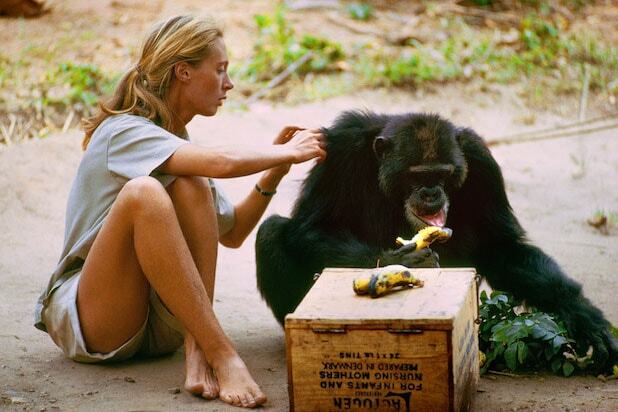 Brett Morgen’s Jane Goodall documentary “Jane” was named the best nonfiction film of 2017 at the second annual Critics’ Choice Documentary Awards, which were held on Thursday evening at BRIC in Brooklyn, New York. Ten different films were given awards by the Broadcast Film Critics Association and Broadcast Television Journalists Association, with no film receiving more than one honor. The awards for the best political, sports and music documentaries went to “Abacus: Small Enough to Jail,” “Icarus” and “Clive Davis: The Soundtrack of Our Lives,” respectively. The song “Jump” from the documentary “Step” won the award for the best song from a nonfiction film. Because of the blurred lines between film and television documentaries, Critics’ Choice organizers made a last-minute decision to combine the nominees from both media in most categories. Two categories for television series remained, with Ken Burns’ “The Vietnam War” winning for Best Documentary Series and the long-running “American Masters” winning for Best Ongoing Documentary Series. Penn Gillette hosted the ceremony, which also presented honorary awards to Joe Berlinger and Errol Morris. 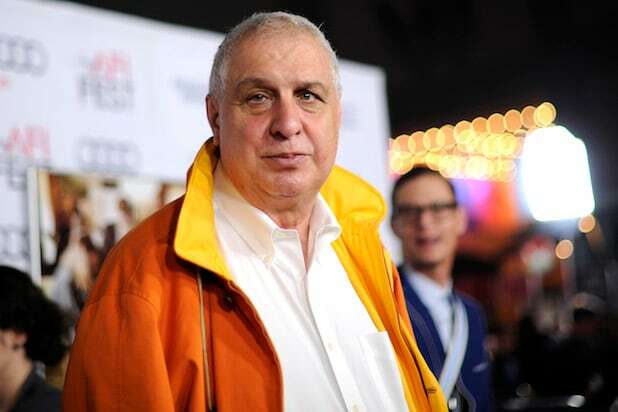 The master of absurd and idiosyncratic documentaries, Errol Morris said of his first film that, “to love the absurdity of people is not to ridicule them but to embrace on some level how desperate life is for each and every one of us.” All 11 of the Oscar winner's documentaries, ranked here (including his latest "The B-Side," in theaters now), are challenging, hilarious and have undoubtedly shaped fiction and non-fiction movies alike. With “The Unknown Known,” Morris goes down the same rabbit hole as in “The Fog of War,” but he has to contend with Donald Rumsfeld’s elliptical, oxymoronic reasoning as he tries to justify going into Afghanistan to hunt for WMDs that were never there. What do a lion tamer, a hedge trimmer, a robotics engineer and a mole rat researcher have in common? Good question. “Fast, Cheap and Out of Control” is Morris’s strangest mishmash of a surreal, visual essay. Yet he finds a way to make it coherent and profound. Morris’s latest film is a pleasant portrait of a photographer known for taking giant, life size Polaroids. It contains heavy themes around mortality and impermanence. As a personal friend, Morris doesn’t shoot this film with his signature “Interrotron” technique. He finds he can relate to Elsa Dorfman’s philosophies on truth in art. Similar in vein to “Gates of Heaven” but less bizarre, Morris sets up shop in a rural town in the South and finds the most peculiar local color. Whether it’s turkey hunters or a man who raises wild livestock, you have to wonder if Morris is asking sincere questions or just gawking. Only Errol Morris would illustrate the complexity of Stephen Hawking’s theories on the universe by showing a chicken materializing in space. But Morris doesn’t dumb down Hawking’s math and science. Rather, he expresses astonishment, using the opportunity to dive into Hawking’s unique personal history. Morris exposes the horrors of abuse and torture at Abu Ghraib. He’s fascinated by the surreal psychology of the prison guards and soldiers who caused everyone to keep their mouths shut for so long. Fred Leuchter has to be Morris’s most controversial interview subject. He became notorious as an expert on perfecting execution machines. But just as we start to admire and respect the guy's principles and attention to detail, he’s called in to testify on behalf of a Holocaust denier, casting everything about his expertise into doubt. Possibly Morris’s most sensationalized film and easily his most fun, “Tabloid” tells the story of the bubbly Joyce McKinney and the “Manacled Mormon” who in the 1970s became the stuff of gossip rag lore. Differing accounts don’t even begin to add up, but listening to them is sheer joy. Is Errol Morris making fun of these people who run two Northern California pet cemeteries? Almost certainly. How could you not laugh at the hilariously morbid anecdote of a cat caught in the dryer or the old woman with silver hair cackling at her little dog? “Gates of Heaven” took “cinema verite” norms and chucked them out the window, finding absurd reality in the oddest of places. Morris won his Oscar for “The Fog of War,” which probed the policy choices and picked the brain of the Secretary of Defense Robert S. McNamara during the Vietnam War. What makes it unique is it takes great pains to see the world through McNamara's eyes, even reflecting on a fascinating analogy about how a carton of eggs led to the proliferation of seat belts. “The Thin Blue Line” is the magnum opus of all true crime films and stories, be it “Making a Murderer” or “Serial.” Morris set the table for the genre and redefined how we approach truth in storytelling, challenging an unwritten rule about filming re-imagined scenes in a documentary. It’s not just a captivating portrait of the justice system, but it also helped exonerate an innocent man.